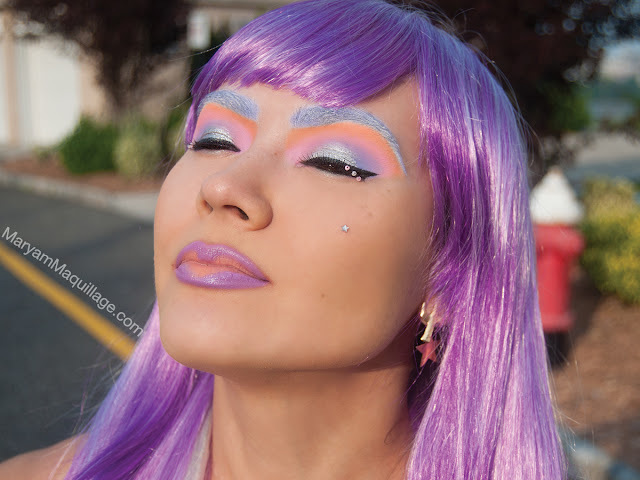 With colors so wearable and perfect for the summer, I simply couldn't allow myself to go with a pretty makeup look as my first Palette d'Antoinette inspiration. 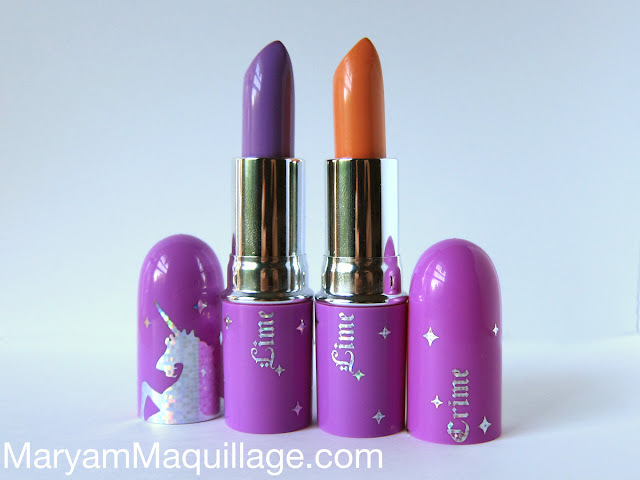 What I love about Lime Crime is that the brand encourages its followers to step outside of the norm and embrace the beauty of individuality and artistry. After all, we're all unicorns on the inside, so why not relinquish it for a day or two?! Start by brushing your eyebrows upward and following the natural growth of the hairs. Take a greasy base like a concealer or NYX jumbo eye pencil in Milk (my choice) and apply it heavily all over your brows. Blend the base into the hair and skin under the brows using your finger. The greasy consistency will help the unruly hairs stick together. Take a q-tip and clean up the area around your eyebrows, making them uniform and sharp. Take your eyeshadow of choice (I used Ribbonesque) on a flat shader brush and begin by patting the color onto the sticky base. Fill in any gaps with a smaller brush and extend your brows using the same shadow. Amazing look. Great talent you have. Unfortunately there has been so much controversy surrounding this brand, I cannot support them. This is so beautiful. You look amazing. I need that palette now. Thank you Chantel :)) the palette is beautiful, especially if used for a ready-to-wear look!! you should get it without hesitation!! Thanks dollface, you've gotta get Antoinette!! I can only imagine the fierce looks you'll come up with!! wow! really cool! you don't even look like yourself in the first photo but i love it! OMG I WOULD FREAKING LOOOOOVE TO SEE IT ON YOU!!! omg!! You look like a doll hun..I love it..^_^.. It reminds me of macarooooooooooons!! Oh gooooooood. Seriously you look so fabulous. I looooooove what you did with...your....everything! love this! you look gorgeous!! AWESOME! you are so creative! I am speechless 0_0 wow! i have to have the opaque cosmopop lipstick! Cosmopop is my fave every day lipstick!! It's soooo pretty and different!! OMG, the lips, the lashes and that palette. I love!! you look gangster!! hahaaa. ur talent blows me away sugar pie!! Fantastic look my dear!!! The whole look rocks but the two toned lips and the blue eyebrows just put it over the top! Wow!!! Cool... Have a great week-end dear. XOxo V.V. Very unique. I like it when people have fun with their hair and makeup. Wow great creation, Maryam!!! I love these colors!! wow you're so creative! marvelous! Maryam in the Hunger Games, I ABSOLUTELY LOVE IT! And trust me when I say you are the only person on this planet who can look drop dead gorgeous with silvery-blue brows! first thing: i want your wig and i want it now!! WOW! This looks absolutely amazing!!! Lol, this is such a great tut. for a Halloween outfit! Maryam,the most staggering,astounding, electrifying post yet. Long Live The Queen Goddess Maryam ! This make up is amazing. 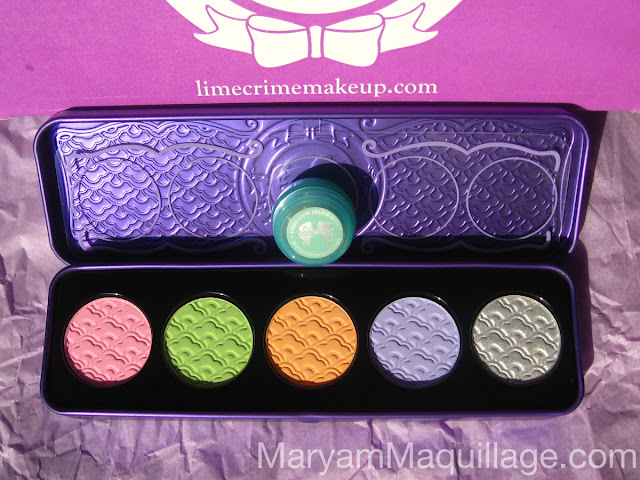 CUTE makeup, I love all of these modern pastel colours! Thanks for the tips on colouring thick brows, I've tried it a few times in the past with not great results. Oh yay!!! Here's the purple wig! What a look, I love all the colours! I am really surprised about the two toned lip, I don't think I've seen it before! I think it looks great and really like the colour pigmentation. This is a really cute look. 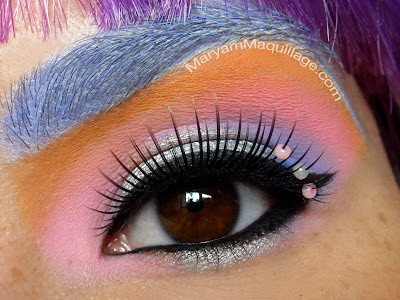 I love how you blended the colors together on your eyes! The eyebrows are a liiiiittle much, darling. Nobody has lavender eyebrows. Ever.